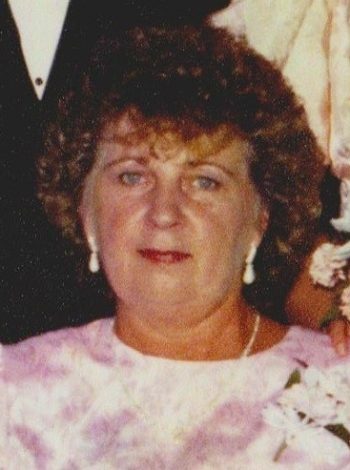 Passed peacefully away at home on January 22, 2017, Shirley Margaret Quilty, aged 75. Predeceased by her parents Fred and Elizabeth Evans; son Harold Quilty; siblings Gerard, Bernice and Fred Jr.
Leaving to mourn with loving memories husband Nick; children Deborah (Chris), Bruce, Nick Jr., Loralee (Jerome); grandchildren Jeffrey, Stephanie, Nicole, Shauna, Hunter, Thomas and Madison; and great granddaughter Sydney; sisters Mercedes (Geoff) and Ruth (Greg); as well as other relatives, family and friends. Resting at Carnell’s Funeral Home, 1045 Topsail Road, on Wednesday, January 25 from 7-9 p.m. and Thursday, January 26 from 2-4 & 7-9 p.m. A mass of Christian burial will be held from Holy Family Parish on Friday, January 27 at 10 a.m. with interment to follow in St. Thomas of Villanova Cemetery. Flowers gratefully accepted or memorial donations may be made in her memory to the Heart and Stroke Foundation. Deepest Condolences, to Nick and Family. are with you all. God Bless. Please accept my sincere condolences on the passing of your wife and mother….look to the sky at night and focus on the shining star and know that she is looking down on you all. Nick and family: So sorry to hear the said news. Our condolences go out to you all. May your find peace and joy in the memories you share. Take care. Nicky, so sad to hear about your mom’s passing. My thoughts and prayers are with you at this difficult time. Sending my deepest heartfelt condolences to you and all your family. My sincere condolences on your loss. As we know time makes the sorrow pass and the happy memories come into focus. When I think of you and your mom all I do is laugh and smile and I go back a lot of years to out trip Florida. Celebrate her life and the time you had with her. Take care of each other. Debbie and Family, So sorry to hear of your Mom’s passing. I remember her as a kind, friendly woman with a great sense of humor who loved her family very much. My thoughts are with you on this difficult day and in the days ahead. Treasure your memories. Nick and family. So sorry to hear of your loss. May the many treasured memories stored in hearts help ease the sorrow and pain at this time. To the Family, so sorry to hear of Shirley passing. My Thoughts and Prayers are with you at this difficult time! To Nick, Debbie, Bruce, Nick jr and LoraLee, Tom and I were so shocked and saddened to here of Shirley’s passing. We have fond memories of you all when we were camping , at the cabin and traveling together , they were good old times and we will treasure those memories forever. Shirley was a wonderful friend to all. She loved playing cards with us in our card club and spending time at her cabin for a week of fun and playing cards. Sorry we can’t be there in person but our thoughts and prayers are with you all today. Treasure her memories, She will be missed by everyone who knew her, rest in pease my friend. My thoughts and prayers are with you and your family during this diffult time. May you find peace in the loving memories you have made during your years together. God bless you and your family. Sorry for your loss, out thoughts and prayers are with you during this difficult time. Nick and family : so sorry to hear of Shirley passing ; our prayers are with you and your family love to all. So very sorry to hear about your mom. It must be quite a shock to deal with. 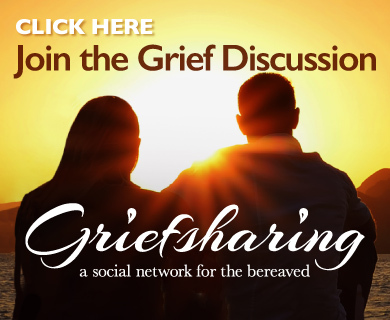 Know that your love and memories will help you through this difficult time. You are all in our thoughts. Take care. Nick and family; so sorry to hear the passing of Shirley; thinking o f you and all the family at this difficult time. Nick & family, My deepest sympathy for your loss. Debbie, and the entire Quilty family. The passing of your Mom, has been such a shock to us all. And no words can be said by myself or anyone else to ease the sorrow your family is feeling, . All I can offer is the reinforcement that your Mom was an awesome woman, mother and wife, And that she truly loved you all ,with all her heart. and soul. So keep all the beautiful memories of her close to your heart to help you get through this difficult time. Bruce and family, we are truly sorry to hear of the loss of your mother. Please accept our sincere sympathy and heartfelt condolences for you and your family. Loralee and family so sorry for your loss, your mother was a wonderful person. Our thoughts and prayers are with you. Sorry to hear about your loss. Our thoughts and prayers are with you. Take care. Sending our deepest condolences to all of SHIRLEYS Family.Nick .Debbie .Bruce .Nicky and Lauralee.we are so shocked to hear the sudden passing of you wife and mom .We loved Shirley and enjoyed the times we visited.she was her own person and Always talked very high about her family.See you all on Friday . Debbie and family so sorry to hear of your mom’s passing she. My thoughts are with all of you. Nick, Debbie, Bruce, Nicky and Lauralee, I am so sorry to here of the passing of your mom. She was such a kind person, I will always remember the time I spend at your home when I was younger. She treated me as if I were her other son. I will truly miss her. My heartfelt condolences to all of you. Heartfelt condolences to you all at this diffficult time. January 22nd…same day my Dad and Craig passed away. God must save that day for the REALLY special people. I can assure you she is in great company above the clouds. No words will make you feel better right now but please know I am here for you anytime. I pray that your memories bring you comfort in the days to come. Nick and family, so very sorry to read of Shirley’s passing. We extend our deepest condolences on your loss. Will keep you in our thoughts and prayers during these difficult days. God bless! Mr. Quilty, Bruce, Debbie, Loralee & Nicky and families, So sorry to hear of Mrs. Quilty’s passing. Our sincere and heart felt condolences go out to you all at this difficult time. Rest in peace Mrs. Quilty. So sorry to hear of Shirley passing away, we have many good memories of Shirley. She was very good friends of Mom and Dad and all our family through the years and enjoyed her down to earth personality. Our thoughts and prayers are with you at this difficult time. Sincere condolences sending your way. Daphne Duff, Marilyn, Karen, and Charmaine, Lenny, Jimmy, and Howie., and family. So sorry and shocked to hear of Shirley’s passing. A lot of good memories. Our thoughts and prayers are with you at this time. We are in Vancouver until February 5th. Our condolences go out to. You all. Your Mom was one of the warmest and most caring people I have had the pleasure of knowing. I am so sorry to hear of your loss. My sincere and heart felt condolences go out to you all at this most difficult time in your lives. Bruce and Stephanie, we are thinking of you at this difficult time. Our condolences go out to all of the Quilty and Evans family. What you have once enjoyed, you can never lose. All that we love deeply becomes part of us.” Debbie were deeply saddened by the news of passing. of your mom. Sending heart felt condolences to you and your family. Rest in peace Mrs.Quilty . Sending our deepest condolences on the passing of your mother. Our thoughts and prayers are with you at this difficult time. To Shirley’s Family, She was a beautiful lady, I remember the many times we were together in much earlier years when kids were really young, we had a “dart league”, it took place in my home and there were six of us and now three are gone to heaven…Shirley, Daisy and Mary. 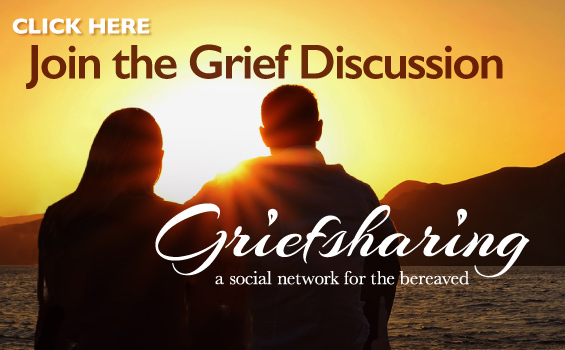 Take some comfort in knowing all the people she will see again in heaven…there are so many family and friends there that Shirley will know and meet again. God Bless you all at this most difficult time in your lives. Thinking of your family at this sad time an sending condolences . Sorry to hear about your mom. Our thoughts and prayers are with your families at this difficult time. I am so sorry to hear about your Mom. I have many fond memories of us in high school spending time with your family both here and at the cabin. There are no words that can ease the burden of your loss at this time. May your memories with your mom comfort you during this time and always. I am thinking of you and your family during this difficult time. With deepest condolences and sympathy. I am so sorry to hear of your mothers passing. Thinking of you Loralee, Nick and family at this difficult time. My heart aches for you all. I hope you will find some comfort in all the special memories you have of your mom , and I hope those memories will get you through. TO Debbie ,Bruce Nicky .Loralee and Mr . Quilty.. My heart goes out to you all …My thought and prayers are with you all .. God Bless ..
Debbie and Loralee (and families), I am so sorry to hear of your mom’s passing. Thinking of you all at this sad time, hold each other close and know that your mom will always be in your hearts.